Lake City, Tennessee officially became Rocky Top, Tennessee on June 26th, 2014! Now that the vote is official, developers and city council and staff are continuing with their plans to create a tourism site in Rocky Top. The Coal Miner’s Museum officially opened in their new location on S. Main Street in March 2016. Legislation has been passed to allow ATVs to ride into Rocky Top from Windrock Park on Hwy 25W beginning July 1, 2016. 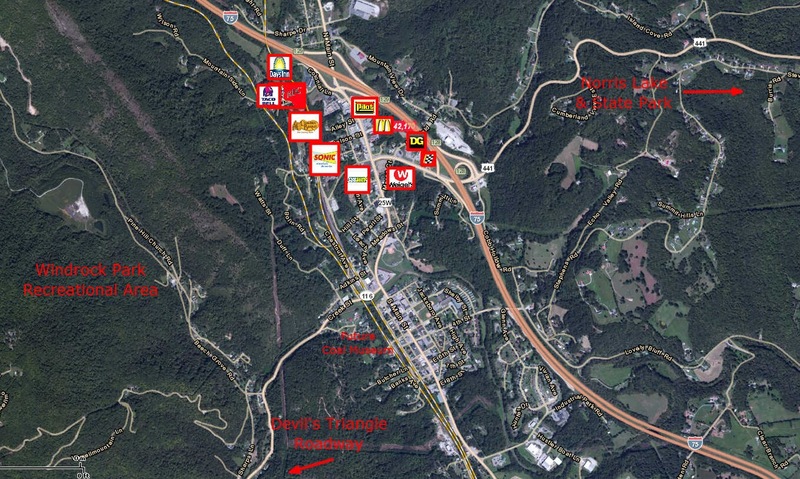 Rocky Top has many commercial advantages including its proximity to Norris Lake and the two exits along Interstate 75. These interstate exits are also the halfway point for travelers from the north travelling to points south. From the development of Rocky Top to its proximity to Norris Lake to its outdoor recreation opportunities at Windrock and new Coal Creek Museum, this is an area to consider for your future business! 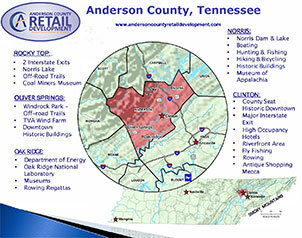 Contact us for land and building vacancies and more information on the development opportunities in Rocky Top, Tennessee!